Lightly spiced, pan-fried crepes of urid daal served either as plain dosa with side dishes OR cooked & filled with curried vegetables. 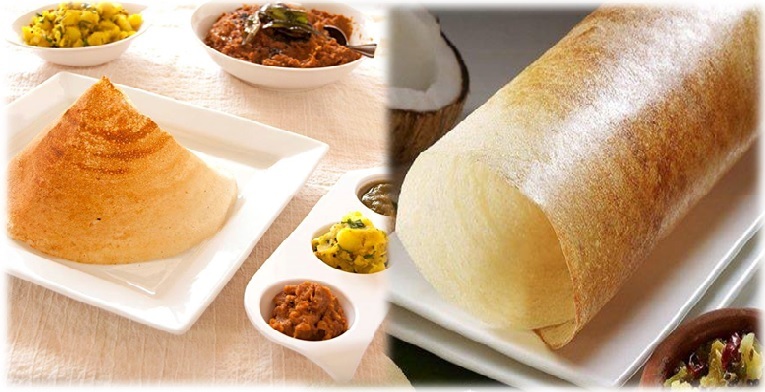 All our dosa dishes are served with the traditional sambar (curried, mixed vegetable sauce) & coconut chutney. Extra sambar OR chutney for $3.